Every communities has experts and people who want to learn code or improve their skills but they can't always can be in the same place, at the same time or dont have posibilities to pay for formal education, so we developed LiveCoding Circles as a tool to bring knowledge to people, building learning groups (circles) from different regions, places or realities expanding the reach of the developer circles. 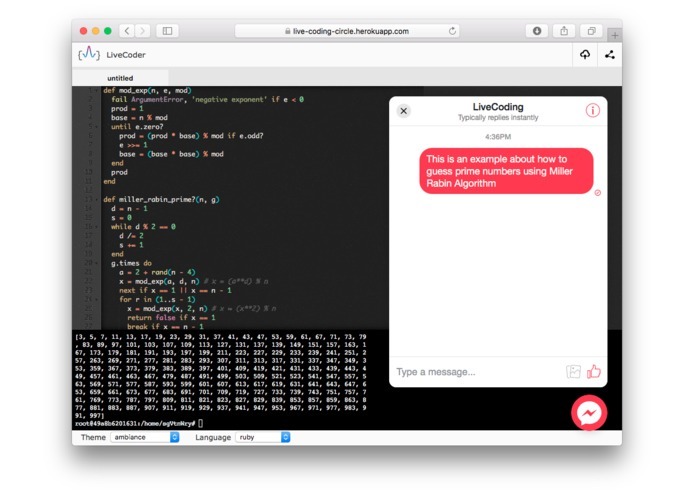 LiveCode Circles provides a tool to take education anywhere, without having a high performance computer or a complex development environment, Just having an Internet connection you could practice and learn from tutors or study groups, being able to discuss ideas. 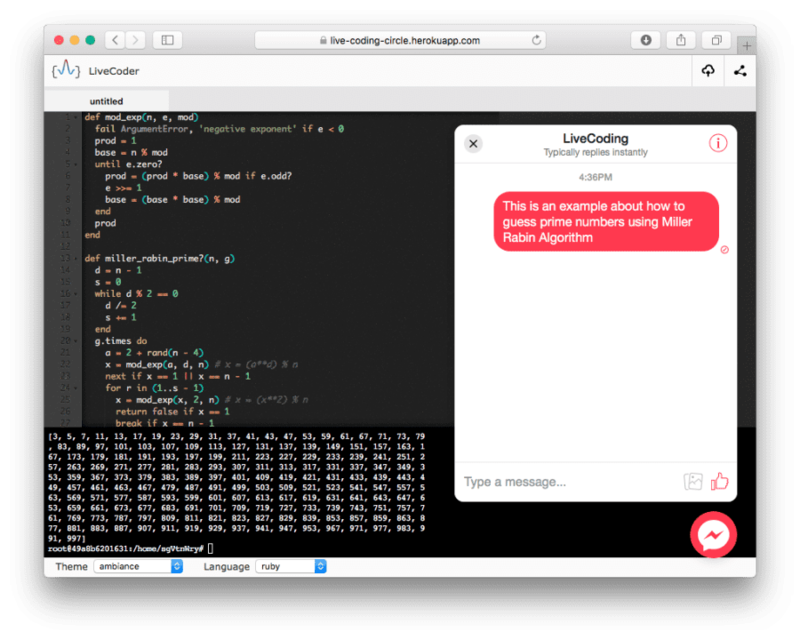 We build using Customer Chat SDK to develop the chat room experience into the live coding editor. We are spawning child process to provide a terminal thought a pty connection with the docker container. We made an small hack with Messenger Bot for act as a chat room manager. Use Customer Chat SDK (Beta) for first time. 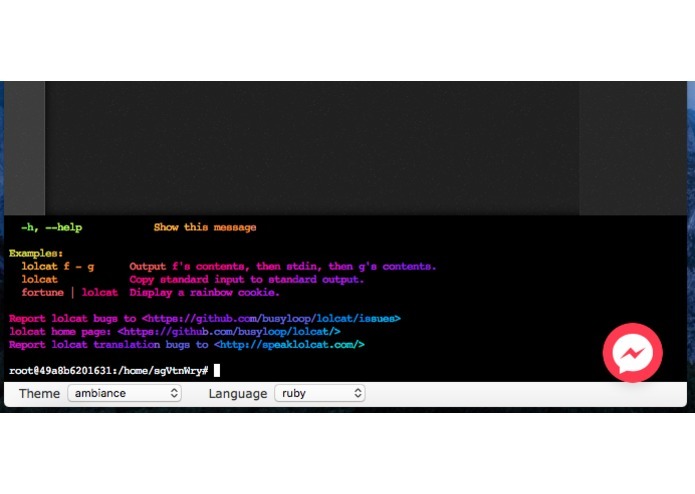 Provide a full feature terminal for run your snippets online. Find a new way to use Messenger Bot to connect people. 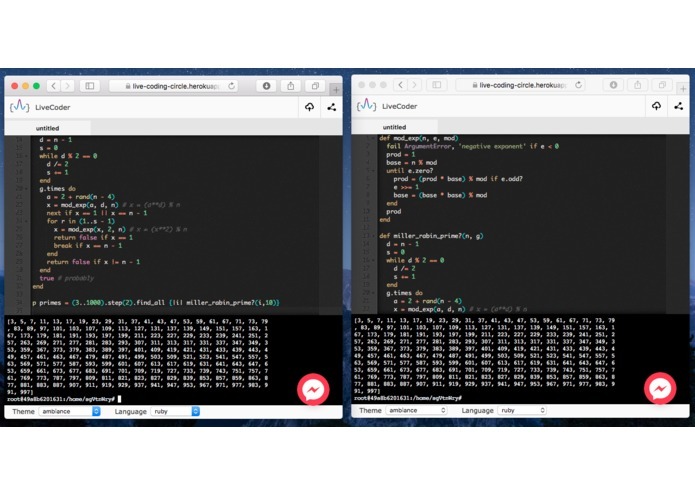 Allow to stream the terminal commands an results to all viewers. 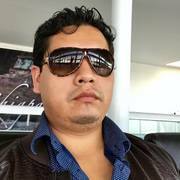 User session based on docker containers, allow to save the working context, installations and dependencies.